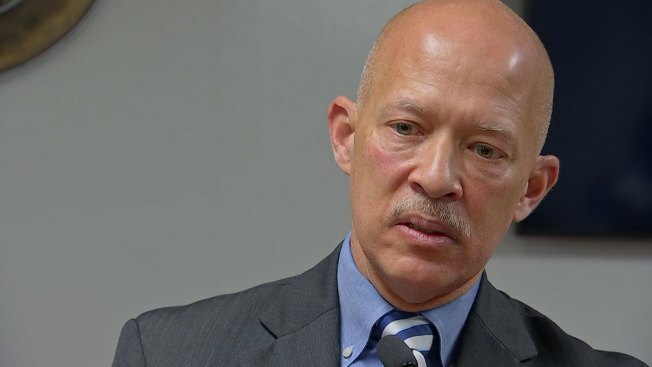 Dallas County District Attorney John Creuzot says his office will no longer prosecute a number of cases in an attempt to end "mass incarceration" in Dallas County, fulfilling a campaign promise he made last fall. In a statement released Thursday, Creuzot announced a number of reforms and said his office will no longer prosecute many cases involving first time marijuana and THC offenses, "trace" drug possession, criminal trespass and theft. Creuzot also said he'd be making changes to probation sentences and recommended bail amounts that allow people to " sit in jail not because they pose an identifiable danger to the community, but because they cannot pay their fee to go home." Creuzot said they will not prosecute misdemeanor possession of marijuana for first-time offenders whose offenses do not occur in a drug-free zone, involve the use of a deadly weapon or involve evidence of delivery. After the first offense, people will be offered a program to keep their record clean. Creuzot said he was in the process of dismissing all pending misdemeanor marijuana cases filed before he took office and that, to date, more than 1,000 misdemeanor marijuana cases have already been thrown out. The DA's office will decline prosecution on state jail felony and 3rd Degree felony possession of THC (tetrahydrocannabinol - the chemical responsible for marijuana's psychological effects) for first time offenders whose offenses do not occur in a drug-free zone, involve the use of a deadly weapon or involve evidence of delivery. The DA's office will not prosecute cases where a person was cited for possessing less than .01 grams of drug "trace" evidence. The DA's office said people are sitting in jail too long while awaiting lab reports of alleged contraband. Creuzot says those people will be released and if the test confirms an illegal drug the District Clerk will issue that person a summons to appear in court instead of issuing a warrant for arrest. Creuzot said the county jail is the largest mental health provider in the county and is not a suitable place for the mentally ill and homeless (those most charged with misdemeanor criminal trespass) to call home. "Around 90 percent of homeless individuals charged with trespass will receive an average jail sentence of 33 days. These prosecutions are an ineffective and inhumane approach to dealing with homelessness or mental illness, and yet since 2015, Dallas County has spent nearly $11 million just to incarcerate those charged with trespass, not including the costs and resources required to arrest and prosecute their cases." With that in mind, Creuzot said his office will dismiss all misdemeanor criminal trespass cases that do not involve a residence or a physical intrusion into property. All pending cases meeting this criteria are being dismissed and will be referred for outpatient mental health services. "I urge Dallas County and its municipalities to use the savings to provide affordable housing and mental health services to this vulnerable population," Creuzot said. The DA's office is creating a diversion program that will allow for charges to be dismissed for defendants who clear their drivers' licenses. Creuzot said prosecuting a person for driving with a suspended license is "often just prosecuting a person for being too poor to pay off their fines and fees." Creuzot wants to change the recommended probationary sentences for misdemeanors to six months, state jail felonies to 180 days, second and third-degree felonies to two years and first-degree felonies to five years. "When people are kept on probation much longer than they should be, the system is overtaxed with supervision, and true rehabilitation becomes almost impossible. Our community is not made safer by long probation periods: research shows that probation terms should be only as long as needed to achieve the goal," Creuzot said. The district attorney is also asking prosecutors to not ask for jail, state jail or prison time for "technical" violations -- not paying fines or fees or other acts that do not threaten the public safety. Creuzot said people often sit in jail not because they pose a threat to the community but because they cannot pay their fee to go home. "When low-income people are held in jail simply because they cannot afford a few hundred dollars, they lose their jobs, housing, stability, and cannot take care of their children: this makes our communities less safe," Creuzot said. Creuzot said monetary conditions should be based on what a person can afford and that high bond should not be used as a form of preventive detention. He added that people accused of misdemeanors should be released without pre-trial conditions and said the same for those accused of state jail felonies as long as they have no criminal convictions within the last five years. In both cases, the accused must pass a risk assessment where a prosecutor believes the defendant will appear in court and does not pose a continuing threat to a victim. Creuzot's entire statement is below and goes into more detail.